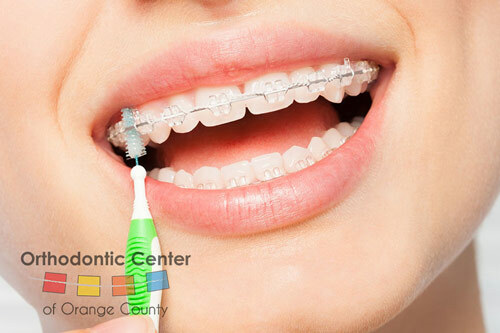 At The Orthodontic Center of Orange County, we do everything we can to ensure the time you spend wearing braces is the best experience possible. However, some issues may arise throughout your journey; we hope you take note on these tips and tricks to make your experience the best it can be. Never Stop Smiling! Although you have now braces, that shouldn’t hold you back from smiling. Over 4 million Americans wear braces, 25% of them being adults, so it is not something that you should be ashamed of. You would be surprised at how many individuals try and cover up their mouth when they have braces. Smiling can also be contagious, where as it only takes 17 muscles to smile, and 43 muscles to frown. Carry Orthodontic Wax with You. When you first receive your braces or go for a monthly check up to tighten the brackets, it is normal to feel some discomfort within your mouth. It is always a great idea to keep orthodontic wax with you at all times. The wax can act as a barrier between your cheeks/lips and the metal brackets/wires and eliminates the friction between the two causing less irritation and discomfort in your mouth. The orthodontic wax can help a bracket that may have fallen off, or if the wire is poking your cheeks. If you feel wires and brackets are causing too much irritation and you are in pain, please give us a call for further instructions. When to Remove Your Rubber Bands. Rubber bands are what help your teeth shift into the place they need to be in. Even though you may be a little sore at first, make sure you are ONLY removing your rubber bands when you are about to eat or brush your teeth. 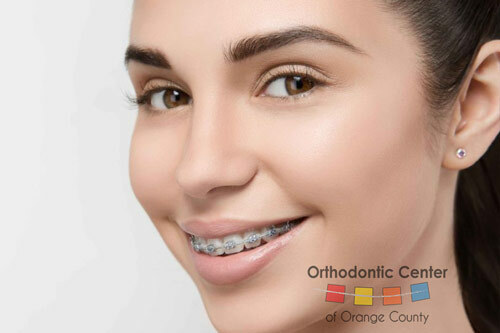 If you are not constantly wearing your rubber bands, this may result in your time wearing braces being delayed or halted. Check Braces for Bent or Lose Wires. Regularly When your teeth are shifting into the correct place, it is sometimes common to experience the wire poking into your cheeks and irritating your mouth. If this happens, you should call our office immediately to set up an appointment for repair. A tip in case of emergency is sanitizing finger nail clippers and having someone help you safely clip some of the wire. Make a To-Go Braces Care Kit. A to-go kit can be a life saver in many different ways, including bringing the kit to school, to work, or leave it in your car for emergencies. Products that go inside the kit can include: A travel toothbrush, toothpaste, floss and more importantly, dental wax. Many patients have said they recommend having a to-go kit when you are a braces wearer. Be Aware With Your Retainer. Don’t be fooled by the freedom you feel when you have your braces removed, it is relieving but you still need to maintain your new straight teeth. Wearing your new retainer is mandatory and the only way to make sure your teeth stay straight. We have a few different options when it comes to retainers, your orthodontist will provide you with the best option that he/she finds fitting for your lifestyle. We hope you enjoyed learning about those tips and tricks and that you can use them in your routine with your new braces. Remember that if you have any problems with your braces to call us as we are here to help you throughout this journey.